Climate change is nowadays considered as the most devastating environmental threat of our time. Several scientific studies are clearly identified in human activities the main cause of the global warming, through lifestyles, consumption and choices that pollute and exploit resources in an unsustainable manner. The increased awareness on climate change and the urgent need of reducing greenhouse gases emissions have pushed worldwide Institutions to take severe counter-measures. The Kyoto protocol in 1997 (ratification in 2005) and the Paris agreement signed in 2016 represent the two most important examples of Nations pledge to reduce emissions. Market is becoming more and more affected by these arrangements: demands for sustainable and eco-friendly products are growing (ex. Green Public Procurement). Standardization committees have worked in drafting international standards for the assessment of the sustainable use of resources and of the impact of products on the environment. Environmental Product Declarations (EPD®) are the certified sustainable ID-cards of products. Due to the consumption of large amounts of energy and the production of high levels of CO2 – equivalent emissions, transportation and construction sectors have not been spared by this sustainability wave. As a result, it is fundamental to consider environmental impacts when designing new solutions for road infrastructures and for construction of new road networks. An EPD is an independently verified and registered document that communicates transparent information about the life-cycle environmental impact of products. It discloses the full story of a product’s environmental impacts including energy use, efficiency, emissions and waste, from raw material procurement, to production, to shipping, to consumption, to disposal at end of life and to recycle/reuse. EPDs are a voluntary and transparent declaration of life-cycle environmental impact. They do not act as product ratings: having an EPD® for a product does not imply that the declared product is environmentally superior to alternatives. EPD validity is 5 years. An EPD is created and verified in accordance with the international standard ISO 14025 “Environmental labels and declarations -- Type III environmental declarations -- Principles and procedures”, where it is referred as type III environmental declaration. In Europe, the European Committee for Standardization (CEN TC 350) has published the EN 15804 “Sustainability of construction works - Environmental product declarations - Core rules for the product category of construction products”, providing core product category rules (PCR) for Type III environmental declarations for any construction product and construction service. Since 2013, due to the ratification of the European Construction Products Regulation (CPR), construction products will be required to sustainably use natural resources (CPR, (55)). Therefore, EPD could serve in the future as a basis to measure environmental performances in line with CPR requirements (CPR, (56)). The use of EPDs will be spread out by the promotion of the Green Public Procurement (GPP), "a process whereby public authorities seek to procure goods, services and works with a reduced environmental impact throughout their life cycle when compared to goods, services and works with the same primary function that would otherwise be procured" (COM (2008) 400). Identification or Development of Product Category Rules (PCR) or procedures that govern development of an EPD: Since an EPD is based on PCR, first of all the operator shall check if any PCR documents already exist. In case no docs are available, new PCR shall be drafted and approved according to the standard procedure. 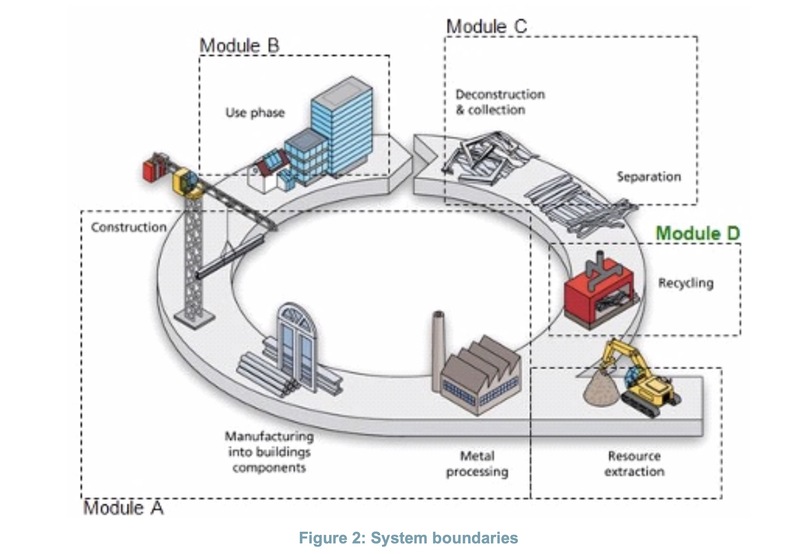 Life-cycle assessment (LCA) performing: LCA shall be performed according to the relevant standards and the calculation rules in the PCR, considering the whole cradle-to-grave chain. EPD® creation: All the required information is gathered in a unique PDF document. Third party verification: to ensure the reliability of the EPD, the document is verified by an accredited certification body or recognised institute. EPD® registration and publication: once verified in step iv. EPDs are registered and published online in the EPD database.on pos volorem aut inuscip santur sa endignis etus, coruptatia aut fugiatis aut occullu ptatem que num exped quia volorerestia nectem a sequia et autatis. Nostiam es egi aleris noxim me vernica vividi menius simissoliis etiquam. Product stage (ex. raw material extraction and processing, transport to manufacturer, manufacturing). Use stage (ex. use or application of the installed product, maintenance, repair, replacement, refurbishment, operational energy use, operational water use). End-of-life stage (ex. de-construction, demolition, transport to waste processing, waste processing for reuse, recovery and recycling, disposal). Benefit and loads beyond the system boundary (reuse, recovery and/or recycling potentials). All value reported in the EPD are normalized with respect to a functional unit that defines the way in which the identified functions or performance characteristics of the product are quantified. This normalization makes EPDs available for integration in a complete assessment of construction works, either building or infrastructure. First exchanges on sustainability impact have been started within the CEN Technical Committee TC226 dealing with “Road Equipment”. Even if for the time being, the Basic requirements of works (BRW) 7 “Sustainable use of natural resources” of the CPR, Annex I, has not yet been implemented by Mandates addressed to CEN, vehicle restraint systems (VRS) manufacturers have started to think green. Production processes have been modified and upgraded in order to match better sustainable performance, reducing energy consumption and waste. Some EPD® for steel construction products has been recently published. The LCA has been evaluated based on modules A, C and D.
Environmental reports can be used by operators from both the public and private sectors to compare construction solutions in the same category, and to help select the best eco-design solution. This is possible under certain conditions: functional units and related performances should be equivalent. For both products, the LCA values reported in the respective EPDs refer to the same functional unit of 1 running metre (rm) of safety barrier including foundation. The same End of Life (EoL) scenario of 99 percent Recycle/Reuse has also been considered as hypothesis. The results of the comparison between Road barrier A and Road barrier B are reported in Table 1 above. The introduction of High Added Values steel products has led to a new level of innovation in road safety. Thanks to their better and more controlled mechanical properties, the new grades are replacing commodity grades, enabling manufacturers to design road safety systems, lighter, more performing and more cost-competitive. Moreover, the durability of road solutions is enhanced by using a new generation of metallic coating based on zinc-aluminium-magnesium alloys. Due to this chemical composition, these new ZM coatings are more environmentally responsible. It has been proved that they ensure the preservation of natural resources as they use significantly less zinc than pure zinc coatings. Recycling stage represents a fundamental parameter for the evaluation of the environmental performance of a product since it can make a considerable contribution to reducing the total environmental impact. Using steel the Global warming potential is reduced of about 89 percent. The main reason of this big gap lies in the capacity of steel of being permanently 100 percent recyclable: recycled steel products have the same performance than the original ones. In the case of concrete, instead, there is the so-called downcycling: concrete is reused as a lower-value product, for example aggregate or filling material. Operators from private and public sectors to compare different solutions for road equipment works from a sustainability perspective. 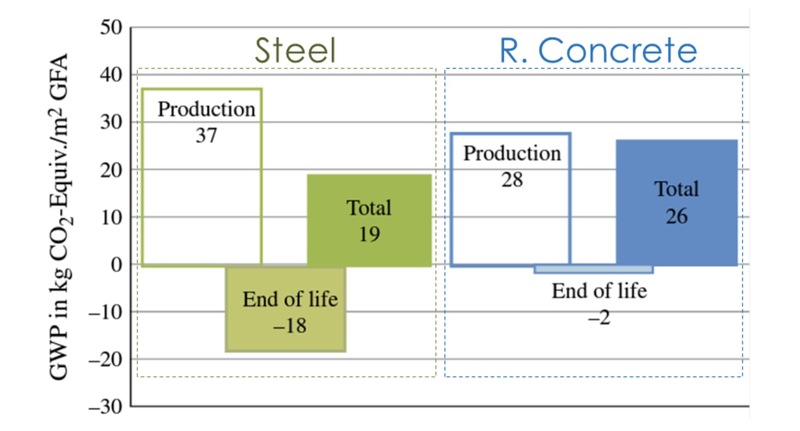 Published EPDs demonstrate that high strength steels and new coatings decrease the use of natural resources and are 99 percent recyclable (and effectively recycled) at the end-of-life. EPDs are a strong asset in considering benefits of recycling at the end-life as part of the products environmental performance. Safety improvements & Sustainability approach are rocking road infrastructure engineering enabling further innovations.